Clovr Studios is focused on creating fun and entertaining VR/AR games and apps for the mobile and PC-based platforms. Seattle-based Clovr Studios designs engaging, visually stunning apps for VR that will fully immerse the player in the gaming environment. Led by tech entrepreneur Tom Pigott, Clovr Studios seeks to become a leading virtual and augmented reality content studio that continues to create engrossing virtual reality applications for gamers to enjoy worldwide. The virtual reality market is growing dramatically, and Clovr Studios is determined to be a part of this revolutionary platform. VR gaming brings users into a unique, mesmerizing environment with 360-degree views and the sights and sounds of the gaming environment. 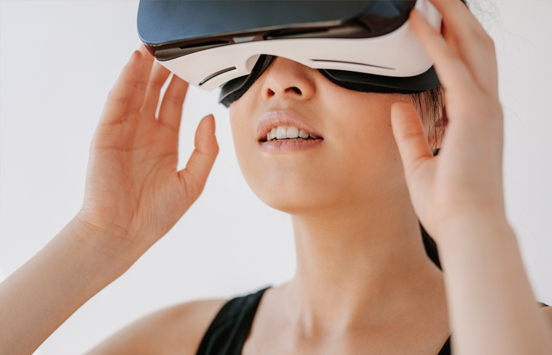 By tracking the user’s movement, apps for VR can respond in real time, allowing the user to look around, engage with characters, participate in games, and interact in a variety of other ways. Clovr Studios seeks to take an entertaining approach to this, creating distinctive gaming environments where users can disconnect from the regular world and plug into an entirely new VR experience. Clovr Studios released our first mobile app for VR, Apollo Slots Demo, in January 2017 for Oculus Gear VR. A casual gaming app, Apollo Slots provides fun gameplay in an exciting, Las Vegas-style atmosphere. With the release of our second app, Apollo Slots VR, in July 2017, also for Oculus Gear VR, casual gamers are able to explore multiple environments while enjoying even better odds in action packed gameplay. Clovr Studios seeks to continue to design other virtual reality and augmented reality entertainment apps focused on engaging gameplay. We love Oculus games, Gear VR games, and virtual reality and augmented reality in general and we aim to make the best VR apps. Give them a try on the Gear VR App Store. Check back with us often to see what other new VR apps we are working on!